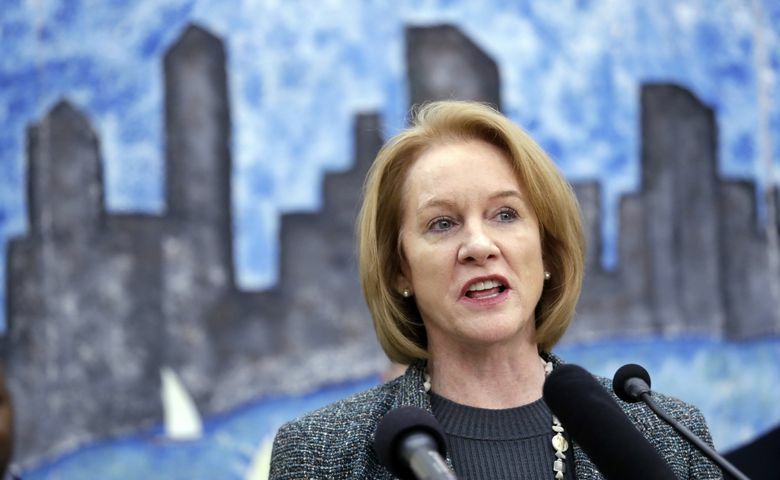 A rental-assistance program promised by Mayor Jenny Durkan and designed to keep low-income Seattleites from falling into homelessness is set to launch in April. Following up on a campaign promise, Seattle Mayor Jenny Durkan said Wednesday the city next month would launch a rental-assistance program intended to keep people who are waiting for federal rent vouchers from becoming homeless. The two-year, $2 million pilot program will provide money to about 1,000 low-income Seattleites who are on the waiting list for Housing Choice vouchers, otherwise known as Section 8, for their rent and utilities costs. “We know that the crisis of affordability has hit home, and today we’re going to take action,” Durkan said. The announcement makes good on one of the promises Durkan made before last year’s mayoral election, when she vowed to provide vouchers to 350 households on the Seattle Housing Authority (SHA) voucher waitlist. Last month, the Seattle City Council earmarked the $2 million from the sale of a city-owned property in South Lake Union to fund the program. In addition to the one-time windfall, Seattle spends about $63 million a year on homelessness services, a 40 percent increase from four years ago. The new rental-assistance program is limited to people living in Seattle, on the waiting list and earning less than half of the area median income, which is $43,200 a year for a family of three. Durkan said the wait-listed families are very vulnerable to losing their housing and becoming homeless. The program will offer unspecified rental assistance to families on the waiting list, as well as expedited enrollment in discount programs for city utilities. For those that don’t already have housing, case managers from several local housing providers will help them find it. While acknowledging the difficulties of finding units for low-income renters in Seattle, officials say the program is designed to prevent people from losing their apartments and falling into homelessness.